The coolest way to separate egg whites/yolk EVER! 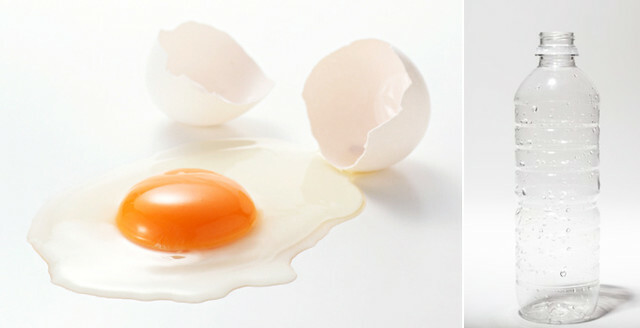 If you’ve ever had to separate egg whites from yolks, specially in large quantity, you’ll know it could be a pain! Who knew all you needed was an empty plastic water bottle and two plates! This has got to be the COOLEST way ever! Even though she’s speaking Mandarin, this is pretty self explanatory: Squeeze, lift and drop. Genius!!! So cool right? Happy separating!!! @ChubbyEatsNY say WHAT. also, what up wang lee hom wahaha water bottle. OMG! That is amazing. Have you tried it yourself? I’m definitely going to. One thing, though, you have to crack the egg carefully so the yolk stays intact. Hah I just did this tonight! Woks like a charm.